My parents came to visit our house for the first time last week. 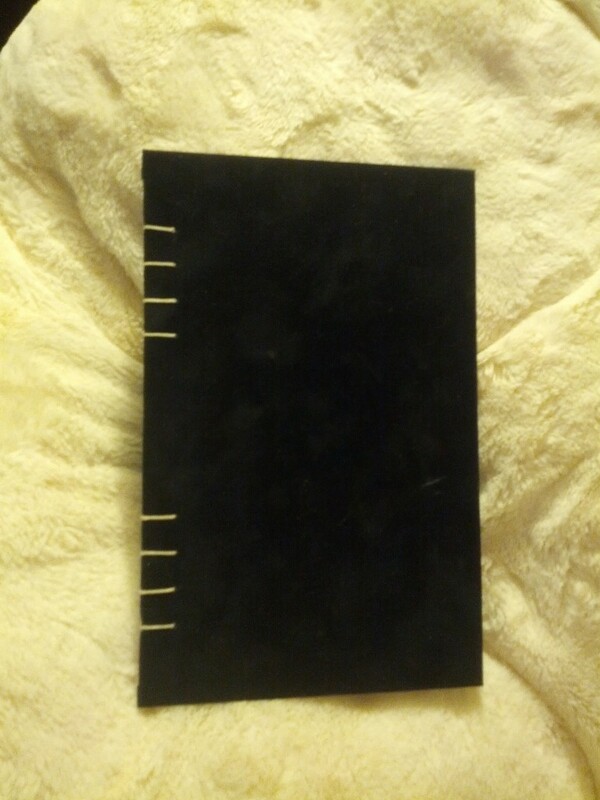 My mom had recently finished an art class on book binding, so I asked if she could teach me how. Here is the result! For my book, we kept it simple to save time. My mom got all fancy and put a bookmark in hers. 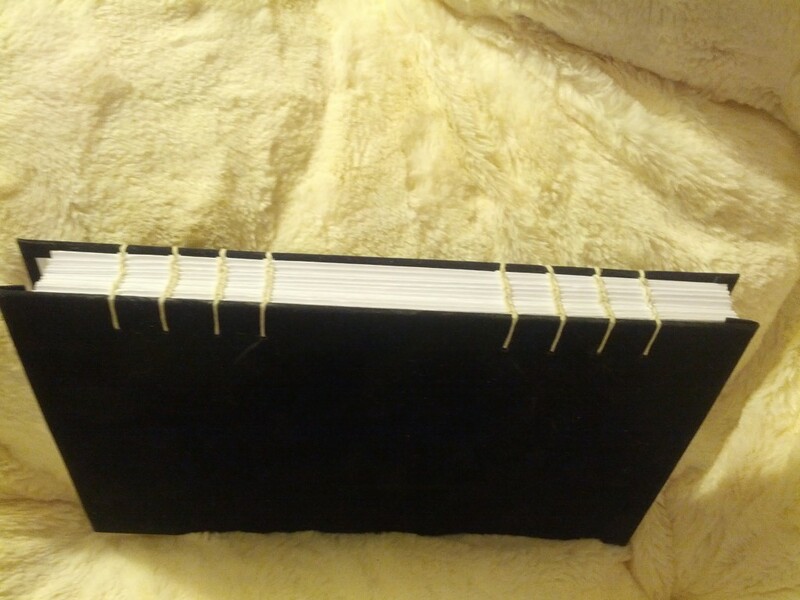 I really liked book binding because it was something very simple to do without a lot of expensive materials. We started early on Thursday morning after breakfast and maybe an hour the next day finishing them up. Normally I research a hobby to death, buy everything I need, then do it, but this time it was a little backwards for me. It still doesn’t change my habits though, I still looked up a ton of information and videos after my parents left. By far one of the most useful resources for bookbinding was Sea Lemon’s Youtube channel. The way my mom and I did ours was similar to the first video below. We used illustration board instead of book board, spray adhesive instead of glue, and made the covers about 1/4 inch larger than the signatures. We also didn’t cut the corners of the cover paper like in the video, but I think my next book I will. Now to figure out what to write in them! 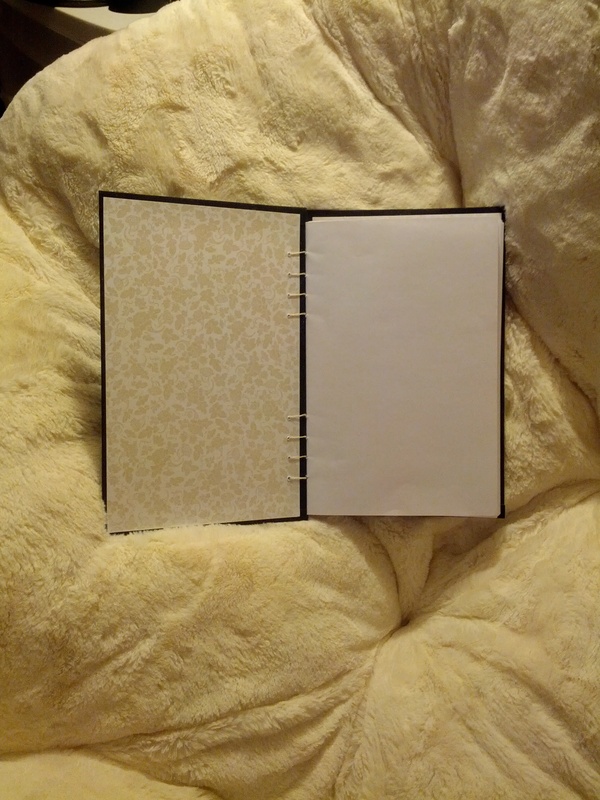 This entry was posted in Bookbinding on June 26, 2013 by Rachel.